Brent Almond’s military background gives his clients an edge. Through discipline, diligence and resourcefulness, Brent is prepared to face and overcome any challenge in pursuit of the best possible solution for his clients. He believes in being upfront and honest and a good steward of his clients’ valuable resources. 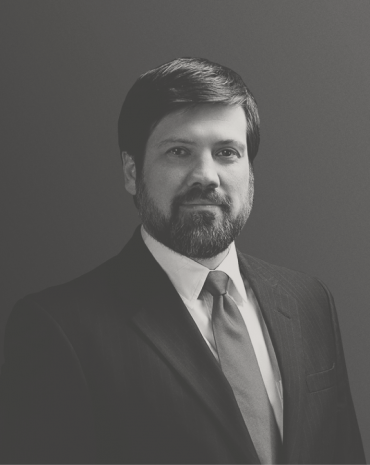 Since joining the firm, Brent has provided representation to a broad range of companies and professionals. He regularly defends clients in the areas of medical malpractice, insurance fraud and bad faith, heavy equipment litigation and workers’ compensation. Among other clients, Brent represents hospitals, physicians, heavy equipment companies and suppliers and insurance companies. Brent applies an unwavering pursuit of excellence to everything he does. He researches relentlessly, strategically collaborates with his legal peers and mentors and works tirelessly to build the strongest case and help his clients accomplish their goals. Brent spends his time away from work with his wife and two children. Brent earned his BA from The University of Georgia and his JD from Cumberland School of Law at Samford University.